Calle: What got you into music in the first place and who are your biggest influences? RK: I was caught up in the early-mid sixties rock n roll wave with the Beatles, the Stones, and the Who because my sister was a teenager at the time. She exposed me to the music when I was just two years old – I was infected with the electricity, energy and excitement and still am. 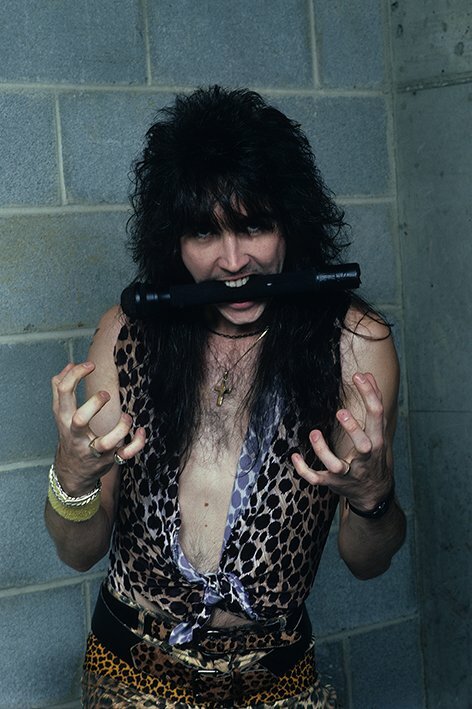 I was influenced by anything and everything I heard on the radio, first by the Beatles then as I grew I was attracted to anything that was loud, aggressive, and rebellious like Alice Cooper, KISS, then Montrose, Van Halen, AC/DC, Scorpions, and Judas Priest. My father played and listened to country music, so there was a healthy dose of that in my blood early on, but I didn’t embrace it until years later in the 90’s. Calle: How old were you when you formed your first band? RK: I started jamming with friends from school, and my first rock band was when I was 14. Before long I was playing in bars and hitting the road for a very wild rock life as a teenager. Calle: Was moving to L.A. with Steeler a dream you’ve had since starting your first band? RK: A producer I worked with when I was 14 planted the seed that to really make it, I would have to move to L.A. – first I went to Nashville when I was 17, formed Steeler, and then moved the Hollywood a few years later to arrive right in the thick of the legendary L.A. metal explosion. 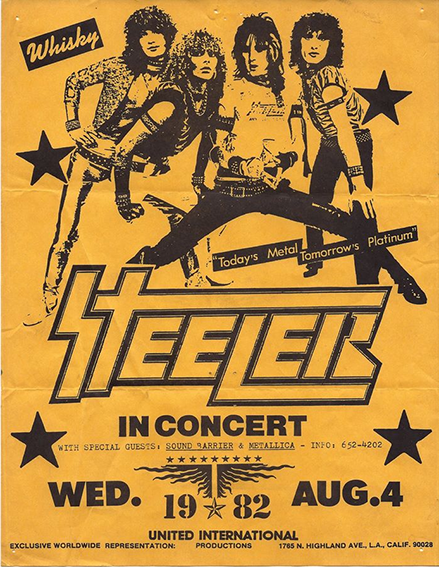 Calle: Steeler actually brought a very young Yngwie Malmsteen to the US. I have read many times that he’s very hard to work with. Was that also the case back then? RK: I guess that’s why they call it work! Nothing is easy in this business. The fact that Yngwie and I crossed paths on that album, and in that moment in time, is a very special benchmark in heavy metal history and I’m proud of our legacy. Calle: After Steeler broke up you formed a new band using your name Keel. I guess this was the band you had the most success with. Do you think it had something to do with you working with Gene Simmons as producer for “The Right To Rock” and “Final Frontier”? RK: Gene had a huge impact on my career, both musically and from a business standpoint, and was obviously a big reason for the success of those early albums. The KISS Army embraced us because Gene was behind us 100%. Calle: How was it to work with Gene? RK: He taught me so much about making great albums, about how to both be totally prepared for the sessions but also not to be afraid to improvise, stay creative, and capture those magic moments in the studio that will live forever. He taught me lessons I still use in every recording session to this day. And he was always surrounded by beautiful women. Calle: After Keel broke up you started Fair Game, a band with four females as your backing band. Did you find it easier or harder to work with an all-female band compared to an all-male band? RK: Man, like I said in the Yngwie question, it’s ALL hard – yes it’s fun, yes I love it, but I’ve worked hard on every band and every project I’ve ever had. Each gig has its own unique set of challenges and rewards. Fair Game was a chance for me to move on from Keel without creating a carbon copy of Keel. The girls in the band were extremely talented and passionate about the music, but by then (1991) it was very difficult to get a commercial melodic hard rock band off the ground in the face of grunge, especially with the stigma the industry has attached to female hard rock bands. Vixen and the Runaways were able to succeed against those odds, and Fair Game was some of the best songs and vocals of my career so I’m very proud of it. Calle: In most of the 90’s you switched from playing hard rock and heavy metal to country. What made you change your musical style? RK: I grew up in an environment without musical prejudice, with teachers that encouraged me to explore whatever styles of musical resonated within me. In school, I played in the school orchestras, playing multiple instruments and executing some of the most complex classical compositions of all time. Also as a teenager, I won several awards for accomplishments playing jazz on the drums and guitar. At the same time, I was putting my first rock bands together. And I absolutely loved The Eagles, who – if they were just coming out today – would be considered country music. After it became apparent that Fair Game was not going to continue, I chose to immerse myself in the art of country music because I was drawn to the storytelling aspect of the songwriting and the opportunity to paint the picture with so many new colors – fiddle, pedal steel guitar, dobro, harmonica. In the 90’s, the country explosion was very much like hard rock had been ten years before – the music and the women were wild, and for me it was all about staying creative and entertaining people. Calle: You released a few country albums, but under the name Ronnie Lee. Why the name change? RK: I have been known as Ronnie Lee Keel to my friends since childhood, and I legally changed my name (from Rynia to Ronnie) in 1986 when I got my first passport. When you make a career move as bold as I did, you want to try to market the product accordingly. There are only ever a few reasons for my business decisions – to have fun, be creative, and to be successful. Calle: You also released two albums with a band called IronHorse, which was a crossover between country and southern rock. Did you miss your hard rock roots? Calle: You almost landed the job as the singer for Black Sabbath back in 1984. Can you tell us that story? RK: It was more than almost. I was confirmed and announced as Ian Gillian’s replacement in March 1984. 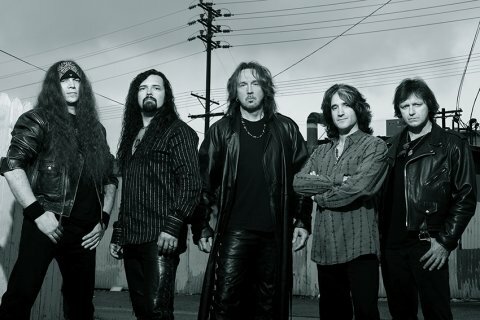 That story is very well documented online (https://www.black-sabbath.com/theband/keel/) and in several books, including my autobiography “Even Keel: Life On The Streets Of Rock & Roll.” And now I am joining several other former members of Sabbath in a new tribute project called Emerald Sabbath http://emeraldsabbath.com – I recorded lead vocals on the Gillian track “Trashed” and the Dio track “Die Young,” and the Ozzy song “Hole In The Sky” so I’m very proud to still be a very small thread in the epic tapestry that is Black Sabbath. Calle: You have fronted many bands over the years. As I understand it, there have been a lot of line-up changes in some of the bands. Do you see yourself as strict bandleader or do you think your bandmates sometimes find you a difficult person to work with? RK: On the contrary, I pride myself on the stability of my projects. Steeler was a train wreck of personnel changes, but we were all young and immature then, and I do take credit for not fully grasping my role as bandleader at the age of 22. 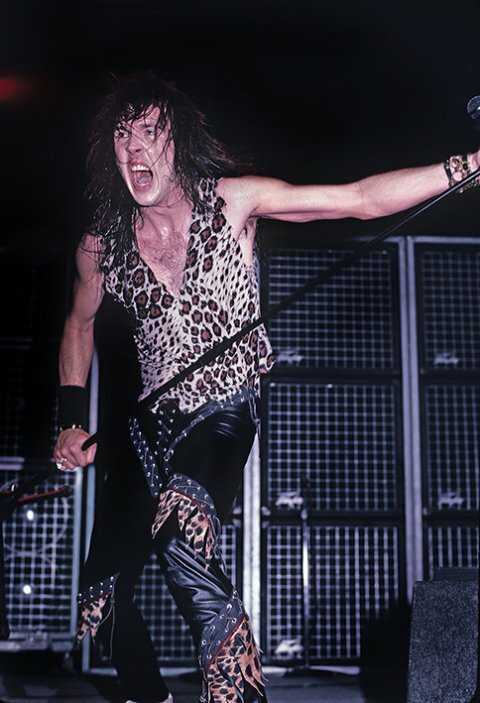 However, the classic KEEL lineup of Marc Ferrari, Bryan Jay, Dwain Miller and myself have been friends and partners for over 30 years…IronHorse only had one change at the guitar position in seven years – and the Ron Keel Band will celebrate our third anniversary in the Spring with only one member gone who left due to health reasons. I have always been a BAND guy, I love the brotherhood and camaraderie, the us-against-the-world attitude. Calle: In 2008 Keel regrouped, toured and also made a new album. Was it something you always wanted to do after the break-up of the band? RK: I think it was the last thing any of us expected to happen, which made it even cooler. As I said, we stayed friends and worked together, jammed together, did “Back In Action” in ’98. 2009 was our 25th Anniversary and we felt the time was right to celebrate our friendship, our music, and our legacy with the fans who were supporting the 80’s rock revival. The reunion shows and “Streets Of Rock & Roll” album are some of the greatest highlights of my career. Rocklahoma, M3 twice, our first-ever headline tour of Europe, and we’ll be sailing on our fourth “Monsters Of Rock Cruise” in February of 2018! Calle: How was the new Keel album “Streets Of Rock ‘n’ Roll” received by the press and the old fans? RK: I have a massive binder of great press and media given to me by Frontiers Records of all the great coverage that album received, and I think the fans and the media agreed that we stayed true to our roots and did not make an attempt to “modernize” our style. 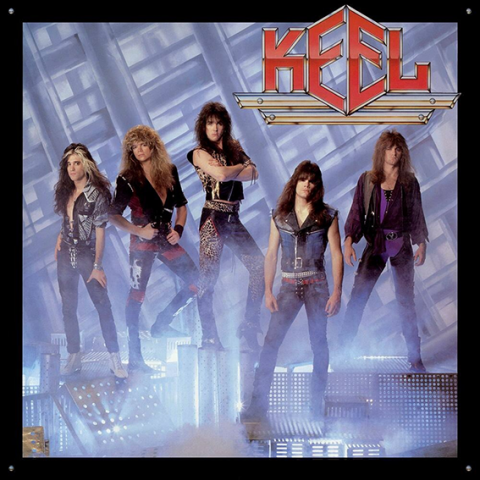 Big powerful rock anthems with screaming vocals, shouting choruses, blistering twin guitar action from Ferrari and Jay, it truly is classic Keel at its best. “Streets” is by far my all-time favorite Keel album. Calle: Do you think you gained some new fans with that album? RK: In this business, you’re constantly gaining fans and losing fans. Some have gone the whole ride with me, some can’t keep up with the twists and turns. Calle: Your autobiography “Even Keel” was released in 2014. If you were to sell the book to a rock ‘n’ roll fan only using five words. What would you say? Calle: You have been on many tours over the years. Which of these tours do you remember as the best tour? RK: Probably a toss-up between 1987’s “Slippery When Wet” tour with Bon Jovi and KEEL’s sold out headline tour of Japan. Both of those were lifetime career events that I will always be very grateful to have experienced. Calle: What’s the most fun experience you have had on a tour or at a show? RK: So many…but getting to sing a duet on “Rock N Roll All Nite” with my childhood hero Paul Stanley a couple of years ago was a huge thrill, as was singing “Close My Eyes Forever” with Lita Ford on the Monsters Of Rock Cruise. Those Monsters cruises are some of the best times ever. 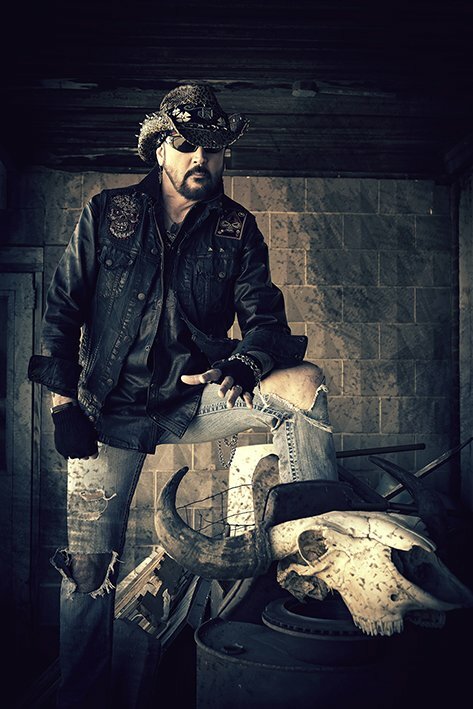 Calle: Earlier this year you released a new single with Ron Keel Band. Are there any plans on a full-length album? RK: The Ron Keel Band has just signed with EMP Label Group, founded by Megadeth bassist Dave Ellefson – we’ll be releasing our debut album with them in 2018. EMP has been very successful in such a short time, they are doing everything right and it is a true blessing that Dave and label chief Thom Hazaert have embraced what RKB is all about! Watch videoclip of the announcement of the signing on YouTube here. The title track of the album is “Fight Like A Band,” so you can imagine it will be a very band-oriented project. I am going to divide the material in thirds – one third new original songs, one third classic covers, and one third will be new renditions of hits from throughout my career, so my fans understand that I am honored to pay tribute to my roots. We’ve already recorded brand new versions of “Because The Night,” “The Right To Rock,” “Somebody’s Waiting” and “Tears Of Fire,” and I am very thankful for the opportunity to take another shot at those vocals. I see this as the first in a series of albums that feature all three aspects – new music, my favorite covers, and new versions of songs from my past. Watch the musicvideo for the song "Homesick" on YouTube here. 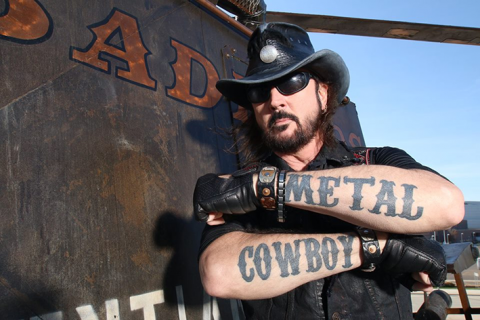 EMP is also re-issuing my Metal Cowboy on CD and vinyl, with a bonus track or two. And I mentioned I have three Black Sabbath covers on the Emerald Sabbath project, so I am just crazy busy like always. Calle: Do you have any plans on recording more Keel albums? RK: After taking 20 years off from KEEL, we’ve learned to never say never. If the right situation with a record label were to materialize, we’d have to consider it. I love working with Marc, Bryan and Dwain and while it would be a challenge measuring up to “Streets Of Rock & Roll” we’d be up for it if the deal was right. Calle: If we could have a look in your calendar for the next year or so, what plans do you have written down? RK: I am excited to return to some of the KISS Expo events, starting January 20 in Atlanta with Vinnie Vincent and Eddie Trunk, and as I mentioned, the Monsters Of Rock Cruise in February 2018. 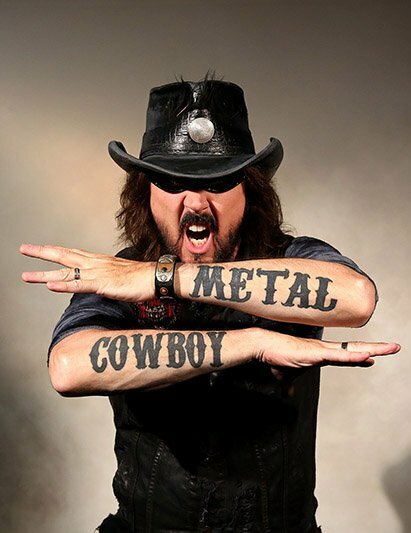 Getting ready to launch a fully interactive web site at http://ronkeel.com where subscribers will get exclusive performances, music, and lots of other content. 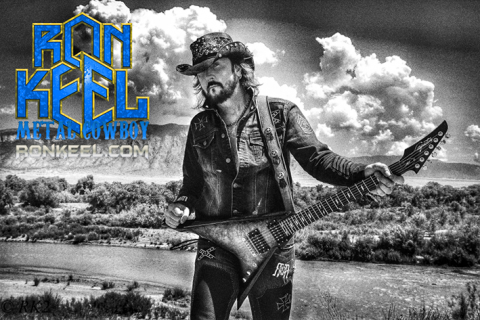 And with a new album or two coming out next year, the Ron Keel Band will be back on the road heating it up all summer long next year. RK: Enjoy me while you can. In 10 years I’ll be almost 67 years old! RK: My wife Renee and family. 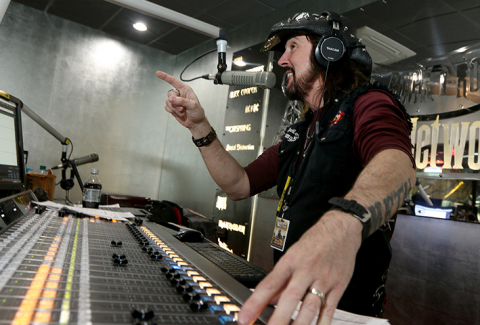 Music and entertainment fill all my other needs, from hosting my radio show to being the leader of the Ron Keel Band, producing, writing, recording. I do love to write and would like to finish a couple of more books, a sequel to the autobiography as well as writing some fiction. For relaxation and enjoyment, I love American (NFL) football, good action/adventure/sci fi movies, and playing Scrabble with Renee. Calle: Can you name 3 new bands you would recommend people to check out? 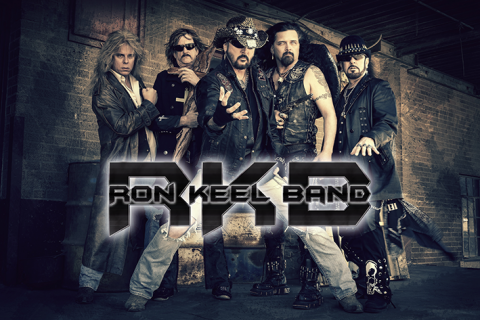 RK: The Ron Keel Band, we’re new! Gabbie Rae – she is one of the most talented singers I’ve ever heard. ‘New’ is a tough word, because there are still some great acts out there trying to break that have been around a long time. Calle: What are your top 5 albums of all time? RK: Tough narrowing it down to one. “White Christmas” comes to mind, because it’s the biggest selling song of all time! My favorite song of all time is Scorpions’ “The Best Is Yet To Come” if we take the money out of the equation. Calle: If you could bring back one dead rock star and play a song with him or her. Who would that be? RK: It would have to be Ronnie James Dio. He was a friend and graciously took KEEL on tour for his entire 1986 tour of Europe, but look him in the eye and belt out a song together would be the thrill of a lifetime. We all miss him and will be forever grateful to his contributions to music and the human race. Calle: If I say Denmark what’s the first thing that comes to your mind (besides the jeans you wear on the cover of your autobiography)? RK: Calle’s Rock Corner, of course!!! 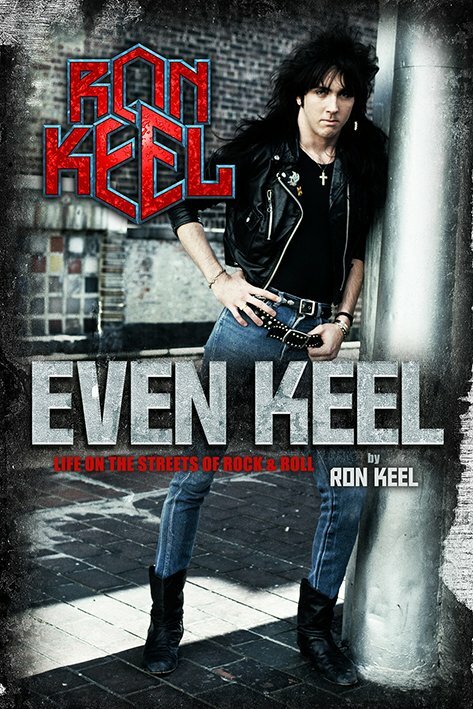 RK: Just a thank you to everyone who has helped make my rock n roll dreams come true, and please keep up with me at http://ronkeel.com!